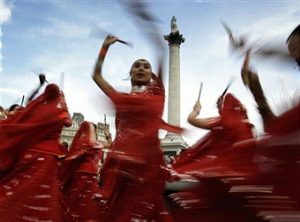 Jeanefer created the first ever Big Dance, which took place on Saturday 22 July 2016, in Trafalgar Square, London. This large-scale dance event was the centrepiece to Big Dance week and an exhilarating finale to BBC One’s Dancing in the Streets. 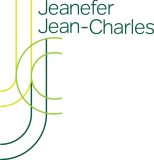 Big Dance choreographed by Jeanefer Jean-Charles (length 4 mins from 3:50mins). 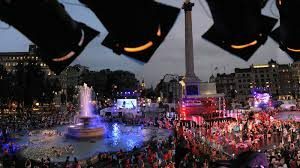 What does it feel like to be responsible for creating the centrepiece of Big Dance week in Trafalgar Square? I am very, very excited and honoured to be given the opportunity to do what I think is the perfect job for me. Most of my professional life has been fuelled by the idea that dance is something that everyone can enjoy; my company Bullies Ballerinas was set up to make dance more available to different audiences. I strongly believe that you can be an excellent beginner and an excellent professional dancer, and in my book they both have equal value. Can you tell us what The Big Dance will be like? The Big Dance will involve over 700 people – including 26 professional dancers, with everyone else being drawn from amateur dance groups from across London. The piece includes a total of 44 different dance styles, including Chinese, Slovakian, Turkish, street, flamenco, Bollywood and bhangra. It is only eight minutes long, but we want to find a way to give each style its moment in the spotlight. In the middle of the piece there will be an attempt to break the world record for the largest number of dance styles being danced to one track at the same time, which will involve all 44 dance styles. There will also be a few surprises, but you will have to tune into Dancing in the Streets to see what they are! How did you begin to make sense of so much activity? To create a framework, the music has been divided into seven different ‘flavours’. We are using seven popular, instantly recognisable dance tracks and have mixed them together. We then grouped different dance styles together under each flavour. To achieve this, we worked very closely with DJ Walde who has done an excellent job. He has a dance background as well as a music background, so really understood what it meant to mix music for dance. Who have you worked with in creating the piece? Obviously it takes a team of people to put together something of this scale. I worked closely with producers Tim Tubbs and Sara-Ellen Williams to develop the idea, with six dance captains who helped me create and share the dance moves, and with a team of 35 group leaders (One for each of the dance groups taking part) who taught the movement to their dancers. There was also constant communication with the Big Dance organiser, the Mayor of London in partnership with Arts Council England and the BBC. How did you choose the dance styles that were going to be included in Big Dance? We didn’t actually decide which dance styles to put in. We put out a ‘call to action’ asking dance groups to contact us if they wanted to be involved. We then worked with the styles that were available in the groups that responded. There were large numbers of groups doing street dance, salsa, swing, and Bollywood, and these styles therefore have a strong presence in the piece. What has been the greatest satisfaction in working onThe Big Dance? I have been working with designer Marsha Roddy to visualise what the piece will look like. She used a computer programme to give a sense of how the event will appear like in Trafalgar Square. It was fantastic to see her paint a picture of what was in my head. But even this was topped by the first rehearsal bringing everyone together when I could finally see my ideas come together for the first time in reality. What do you hope people watching The Big Dance will be able to take away from it week? I hope that audiences will see a dance style that they like and want to go out and try it. I hope that by seeing ordinary people doing something so extraordinary, they won’t feel so shy about taking up dance. And I hope that, if we can do another Big Dance, they’ll all want to take part!